Really this is a nice entertaining program.. This is very nice programe, there is no words to say how sweet it is ? Lot of thanks do My lovely brother Mr Kuna Tripathy & O TV Keep it up 4 ever... till no break . Again also thanks to all team of Newsfuse to completed of 1000 episodes. I ve sent a mail to news fuse regarding Wesco electricity disconnected at Basant colony as a regularly twice @ day. I HAVE SENT A MAIL ABOUT HITECH HOSPITAL BHUBANESWAR. HOW THEY DEMAND FOR PC BEFORE OPERATION. TELICAST THAT. No. 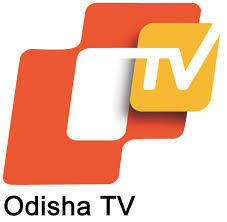 1 and very good news channel in Odisha.. .
Good but bjd support why? I have seen the yesterday episode where the lecture and other staff are helping at exam hall that was really shame ....very bad . In the episode 1224 PM Modi is blamed for child labour.Why their parenrd are not blamed?? Why the hotel honour was not blamed.I'm odisa every hotel is occupied by child labour then Naveen patanaik should be blamed???? I am watching the show and the show teaches the lesson to others.I appreciate your job for this. But...I invite you to come to my village because the roads of our village is very worse at the moment,not any leader can repair the road since 25yrs as I was a child.but the road remains the same as we are young.We talk to the sarpanch,the chairman also but nothing happen yet.I have seen the Tikabali and G.udayagiri videos,but atlist once you have to visit Gardingia please.for that I will be very thankful to you.I am afraid that like our forefather's & father's our children will have to face the same problem.